I have one question to ask you: Would you be our Valentine? 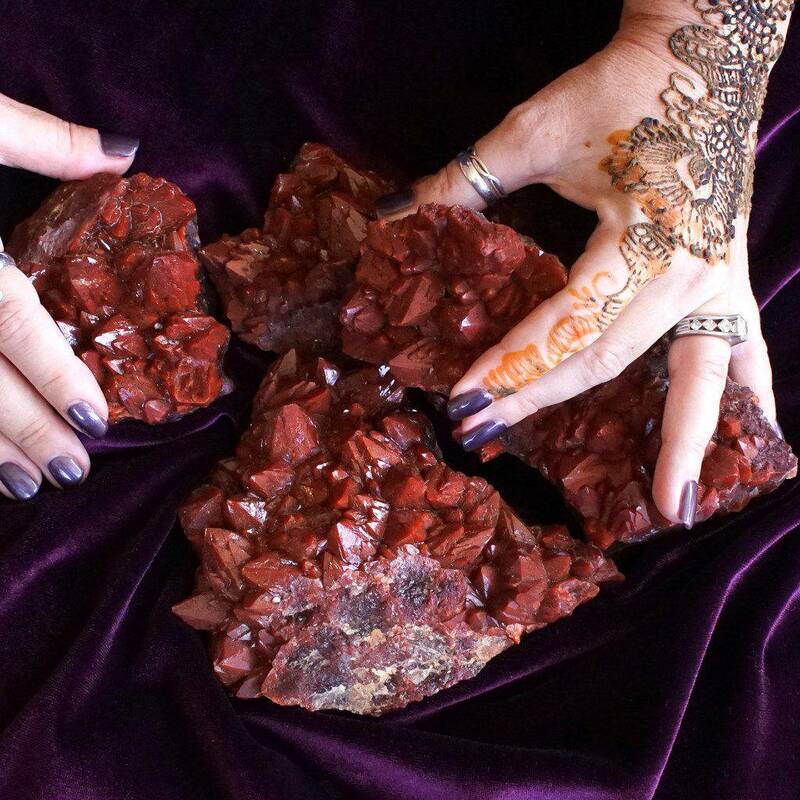 This Valentine Magic for You Made with Love from Sage Goddess was created with you in mind! We want you to know just how much you are loved not just by those who know you but by our team here at Sage Goddess! 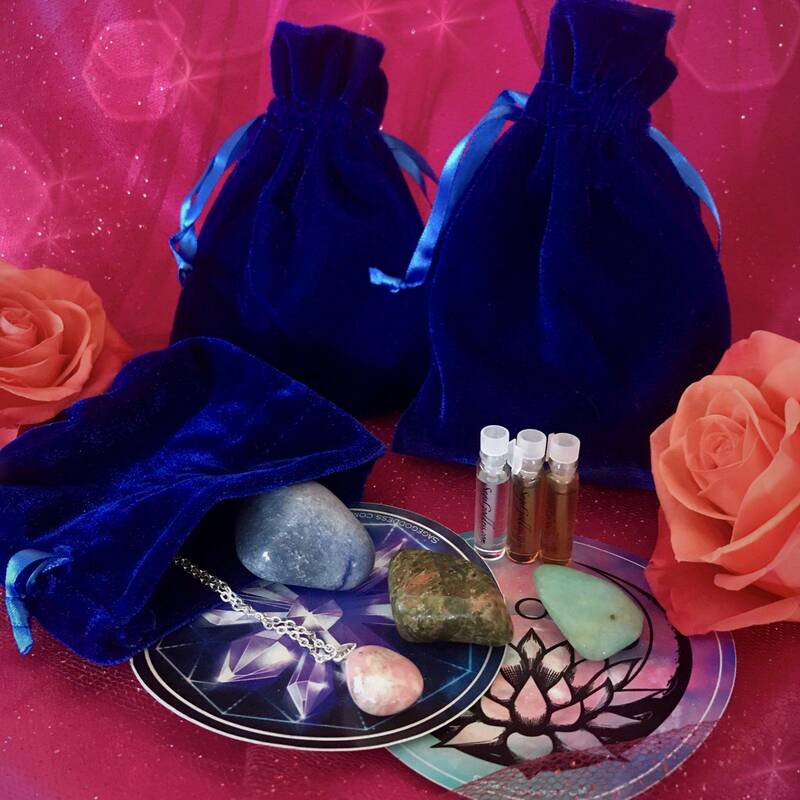 There are so many goodies in this offering including intuitively chosen perfume samples, crystals and more! We are so grateful for your life and the very presence that you are, not just to our community, but to the world. And we hope this offering will add a little sunshine, more love to your Valentine’s Day, and a physical reminder of just how appreciated you are! Feel free to leave a note for us when you check out, telling us more about yourself. 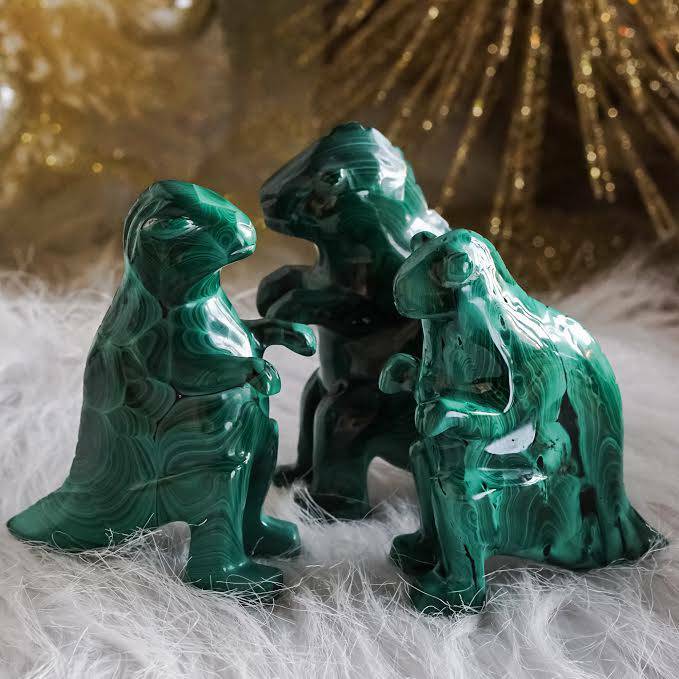 We’ll do our best to choose treasures that reflect your unique vibration and energetic needs! You are seen, heard, and loved by all of us here at SG. Valentine’s Day is right around the corner and holidays can test the resilience of our hearts. When you’re happily in love, Valentine’s Day is a celebration, but when you’ve been hurt and feel lonely, it’s not all roses and chocolates. Remember though, no matter what, you are the beloved of Source. Your mission is to love and be loved, openly and freely. Be patient and compassionate with yourself and others. 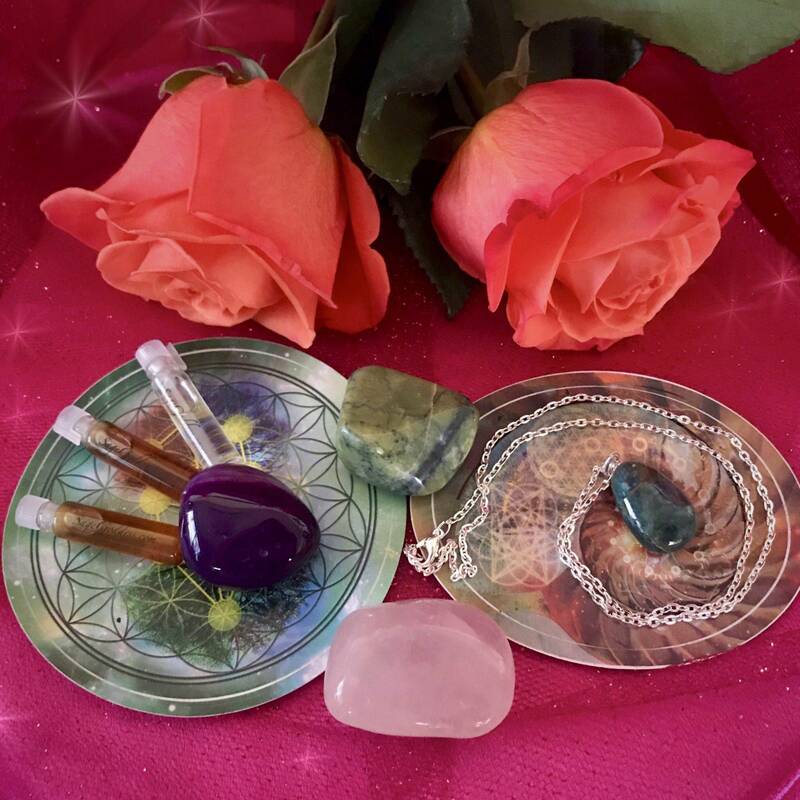 This Valentine Magic for You Made with Love from Sage Goddess is a beautiful offering of intuitively selected gifts that you can purchase for yourself or for a friend who you feel could use the love and thoughtfulness this offering will bring! 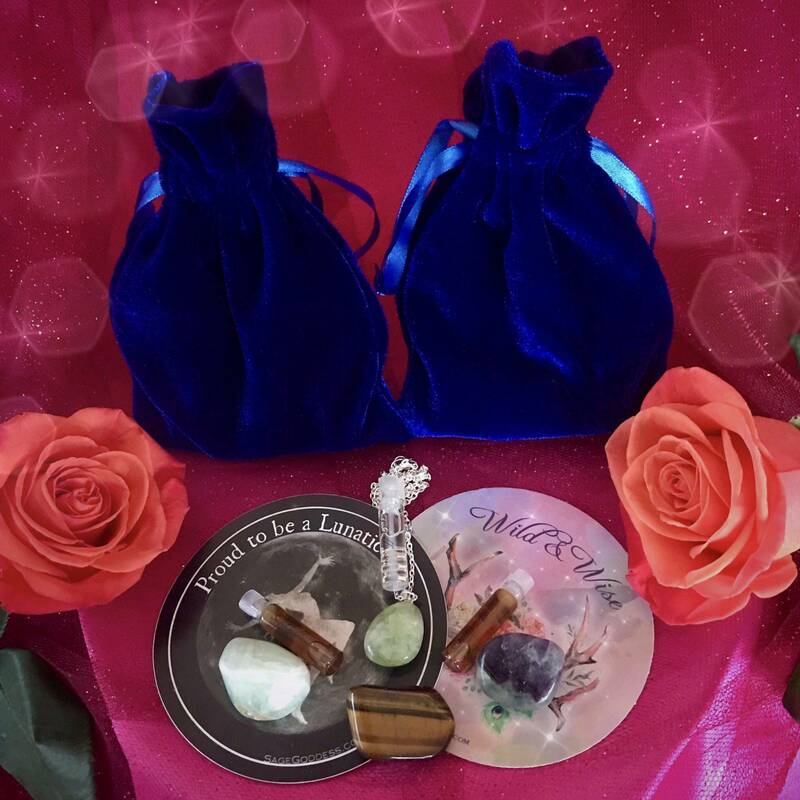 You will receive three (3) intuitively chosen perfume samples, three (3) intuitively selected stones, one (1) intuitively selected drop pendant, and two (2) intuitively selected stickers, all beautifully packaged in a velvet bag. You will also receive a handwritten note from us to let you know just how much we love you! May this Valentine Magic for You Made with Love from Sage Goddess offering bring joy and warmth to your holiday! And may it remind you just how treasured and adored you are! This listing is for one (1) Valentine Magic for You Made with Love from Sage Goddess, as described above. 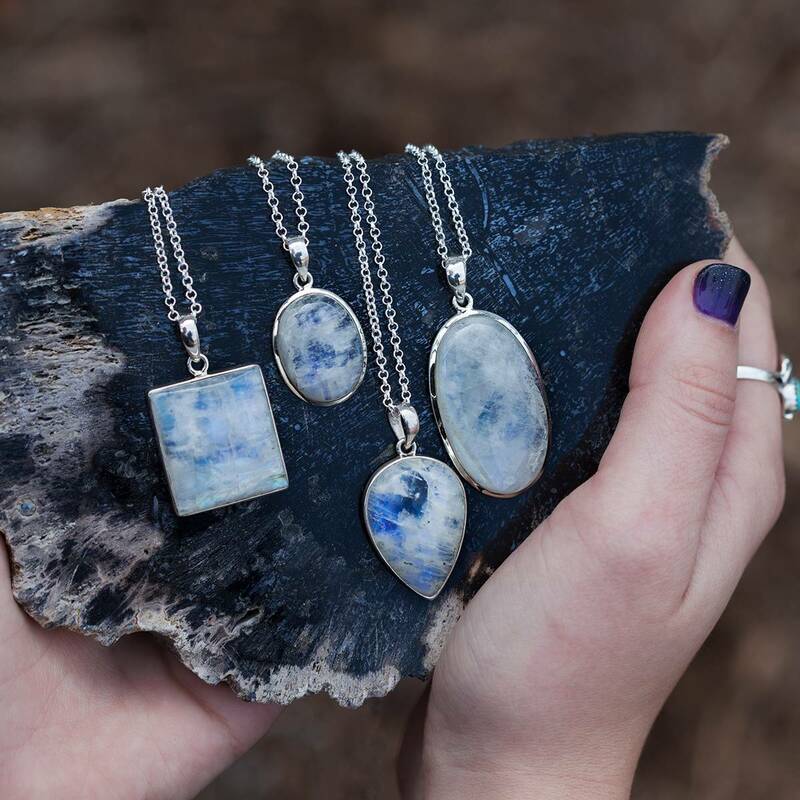 Yours will arrive lovingly parceled along with a single leaf of white sage and cards describing the properties of the stones. I love this gift also the other stones I order. Thank you Sage Goddess I feel the vibrations of the stones and beautiful scents. Can’t wait to shop again soon. We love our surprise bags!!! I love what was intuitively chosen for me. I was gifted wonderful crystals, a necklace I love and didn’t have before, and the stickers are great, and I love the perfumes I was sent. This was so fun to open and well worth $25 for all you get. I did really appreciate the gifts that were intuitively chosen for me. Living in a rural struggling economically area I felt the stickers and the crystals of protection were right on.